Urethral obstruction is the most serious form of urinary tract disease and is more common in male cats due to the smaller diameter of their urethra. If an obstruction is present it can lead to vomiting, weakness, and marked lethargy. A complete blockage is considered a medical emergency because the body can no longer void toxins. This results in severe dehydration and life threatening electrolyte changes. 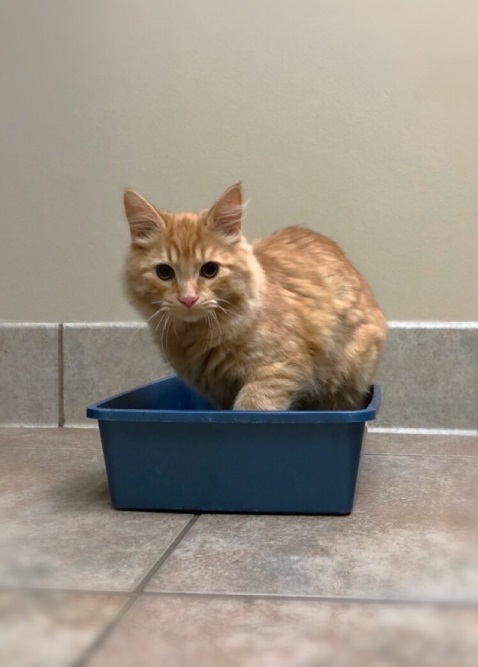 Initial suspicion of lower urinary tract disease is based on symptoms (straining in the litter box, frequent urination, blood in the urine, etc) and further testing is recommended to identify the underlying cause. 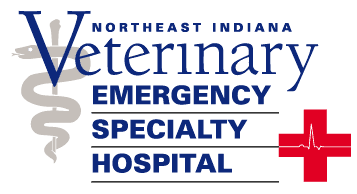 Testing usually includes a urinalysis (sometimes with bacterial culture), bloodwork, radiographs (x-rays) and possible abdominal ultrasound. Treatment depends on the condition associated with the lower urinary tract disease. Antibiotics are used to treat bladder infections. 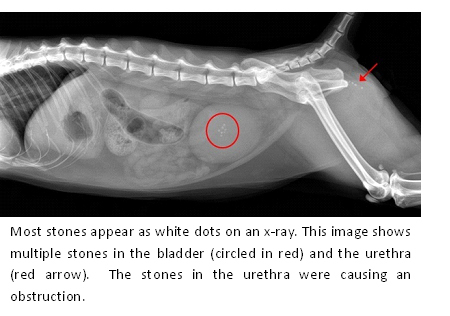 Bladder stones often require surgical removal. After the stones are removed, they should be sent to a lab to determine their mineral makeup. Your veterinarian may add medications or use dietary therapy to help prevent additional stone or crystal formation. 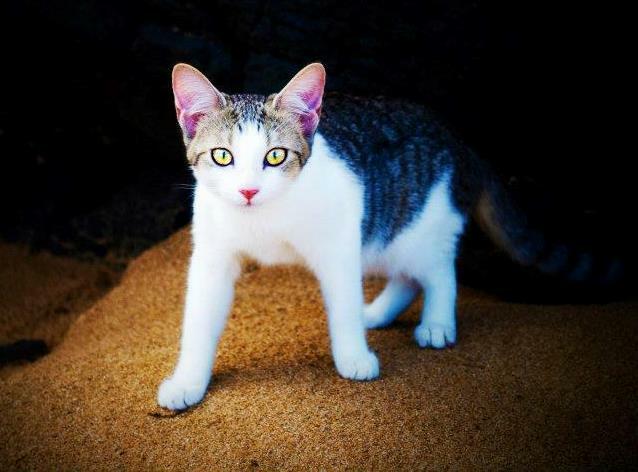 Cats with a urethral obstruction require a procedure to relieve the obstruction. This includes sedation or anesthesia to pass a catheter through the urethra and into the bladder to relieve the blockage. Intravenous fluid therapy is given to correct dehydration and electrolyte imbalances. Cats that develop recurrent urethral obstructions benefit from a surgery to create a new, wider opening to the urethra.